We tend to think of optimists as people who always paint a rosy picture and see the positive in things. That's not always the case. What does “the good life” mean to you? More time, more money, more happiness? Fairly vague yet promising, the phrase resonates differently with everyone. At the Performance Science Institute, we want to help our readers live longer, healthier lives and use science as a tool for better performance in any aspect of our lives. Part of this mission involves helping people develop something called “Subjective Well-Being.” Subjective well-being is, quite simply, how much people report feeling engaged, content, and happy with their lives and trajectories. Myth 1: Optimists always see the glass half-full. 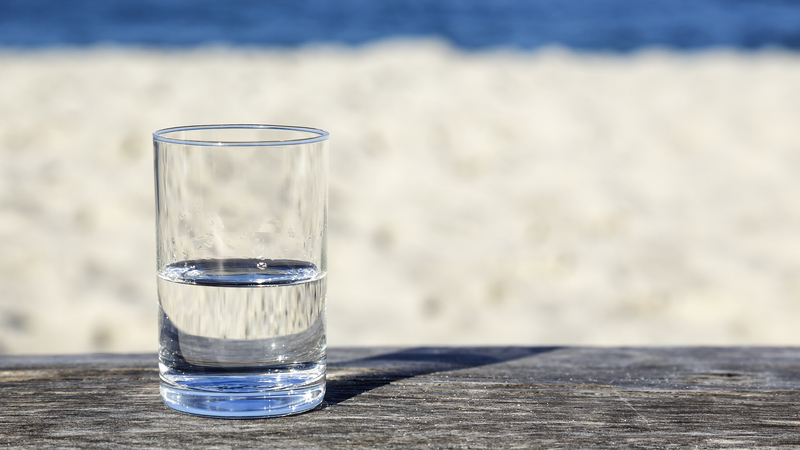 Actually, optimists may tend to see the glass half-empty. According to the research, optimists pay more attention to negative information as it can be more useful to them. A study in which university students read about the risks and benefits of specific health behaviors they engaged in (UV exposure, vitamin usage, etc.) demonstrated that students scoring higher in optimism spent more time than pessimists reading about the risks associated with their specific health behavior (controlling for reading speed). Results also showed that optimistic students paid more attention to risk information as a function of self-relevance: if a student reported higher vitamin use, they spent more time reading about the risks of said usage than their pessimistic counterparts. So, optimists actually do not always see the positive in every situation – they actually process negative information more frequently if it is relevant to them and put it to use in their day to day lives. Myth 2: Optimists live in denial. Again, science shows us that this is not accurate. Similar to optimists paying closer attention to negative information than pessimists, they are also more realistic about negative life events that are out of their control. Research on patients with Stage I breast cancer found that patients who scored higher in optimism were more likely to accept the reality of their diagnosis, report lower levels of denial, and express less psychological distress. While you might think that optimists experience less psychological distress because they are living in denial, the results suggest that through their acceptance of the reality (however negative), optimists are able to cope with the situation and accept what they cannot control. Myth 3: Optimists lose their competitive edge. Because the common misconception is that optimists don’t deal with negative information, many think that optimists don’t have a competitive edge. However, through processing negative information and accepting situations outside of their control, optimists are better equipped to excel at a high level. Indeed, Olympians, who perhaps exemplify performing at the highest level, were consistently ranked high in optimism in their list of characteristics. Similarly, optimism is positively correlated with entrepreneurial success. We can even see the benefits of an optimistic disposition in everyday tasks. One study in which participants worked on anagram puzzles with unsolvable and solvable questions found that optimists moved on from the unsolvable problems a whopping 4 minutes sooner than their pessimistic counterparts, and thus performing better on the task. Optimists were able to more quickly disengage from problems they knew they couldn’t solve and tackle the solvable problems. Based on the research, it seems we should update the connotations of optimism, and view it not as a false rosy view of the world, but rather as 20/20 vision for our future lives. To be sure, optimists recognize positive information, but they also adeptly use negative information to their advantage in order to perform at a higher level and increase their subjective well being. 1. Imagine your best possible self and track your progress toward that goal accurately with the focus on improvement. 2. Change your relationship to how you think about the future and connect it to things you’ve already overcome. If you’re overwhelmed, write down what you’ve experienced in the past that can help you deal. 3. Develop a clear sense of what needs to be done with a focus on controllable variables, process, and not rosy outcomes.